Working parents who need after school arrangements for their children can register at our center. Afterschool hours are: Monday- Thursday until 6:00 p.m., Friday until 3:00/4:00 p.m. Pick-up must be on time late fee will be added. Mini camp will be available upon request when school is closed for vacation. We close for all Jewish Holidays. Our school year calendar will be available at the beginning of the school year. Dates are subject to change with advance notice. School will be open for the total days required. The After school program offers creative activities, outdoor fun weather permitting. Arts & Crafts projects, free play, singing songs and listening to stories is part of our routine. We offer a healthy snack before the children leave. 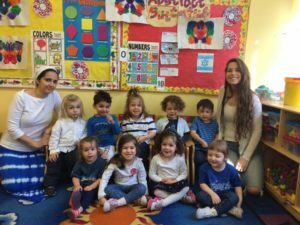 A fter the Universal Prekindergarten we offer our Hebrew after school program where the children learn about the Jewish Holidays, Hebrew Alphabet and numbers. The hours for this Hebrew Class are Monday- Thursday 2:35p.m.-4:00 p.m. 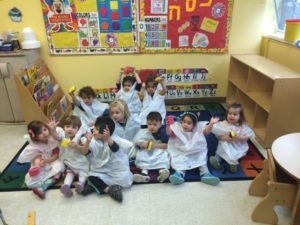 If you are interested in the Afterschool Program or the Mini Camp please call the office at 718-338-7575 or email ganjewish@gmail.com and make arrangements in advance.